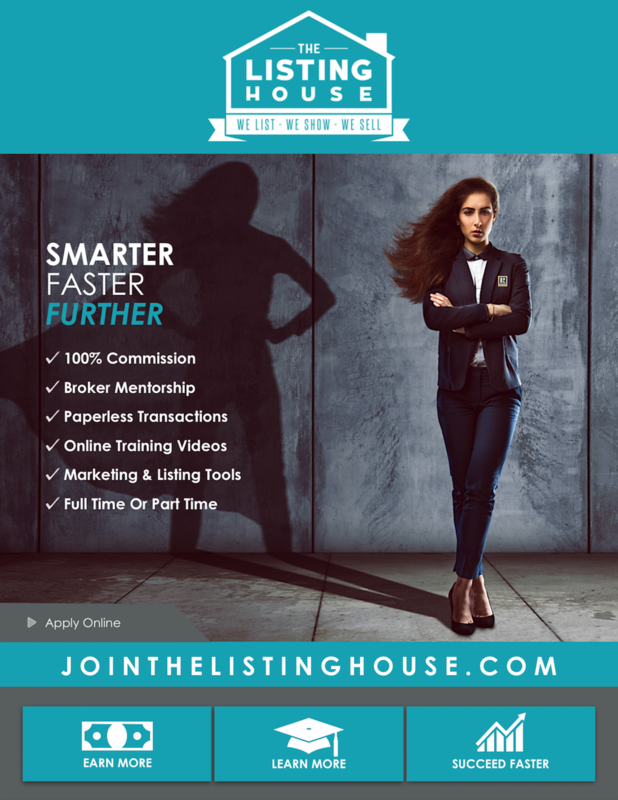 With The Listing House®, you’ll make 100% of the real estate commission, receive direct broker support for every deal and hands-on training with real estate programs that streamline your business, giving you a competitive advantage. Our back office can be accessed anytime from anywhere, keeping you connected to your broker and in control of your transaction management. We provide agents with the best online platform to organize their real estate business for success in today’s market.